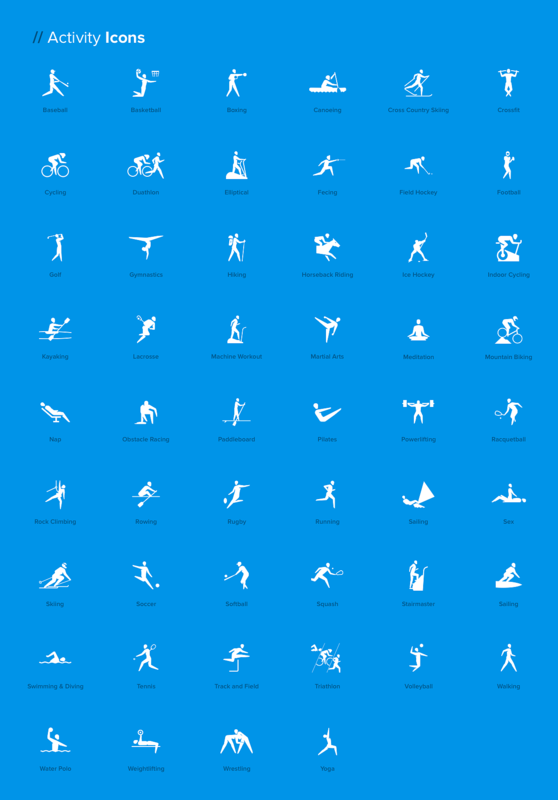 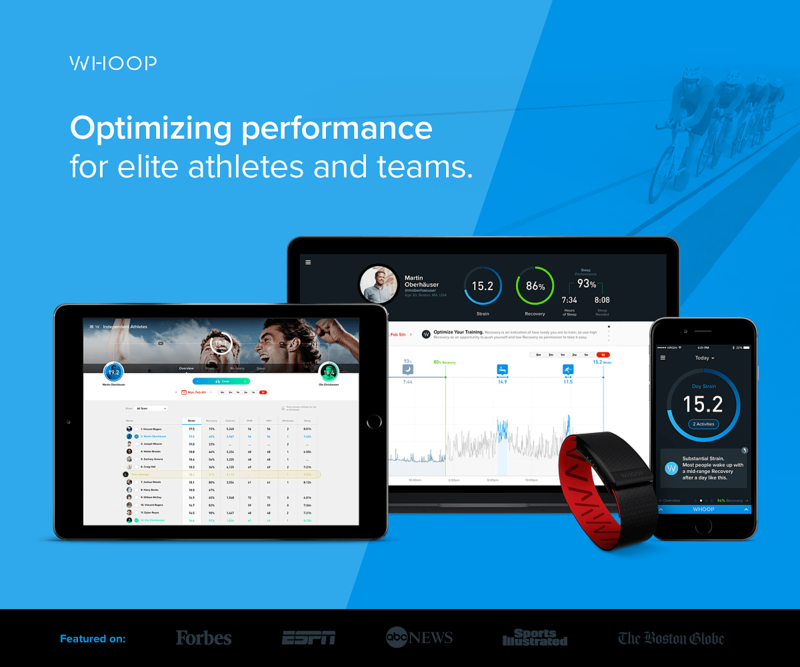 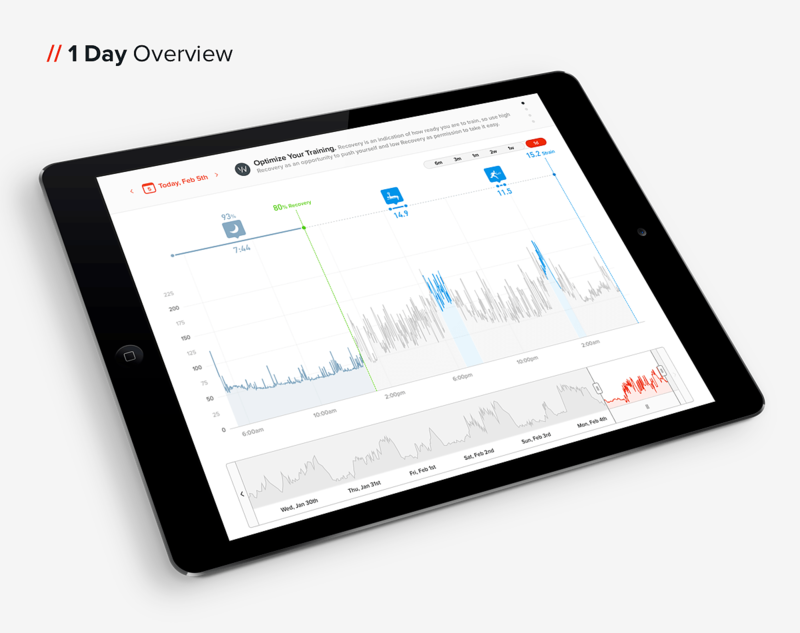 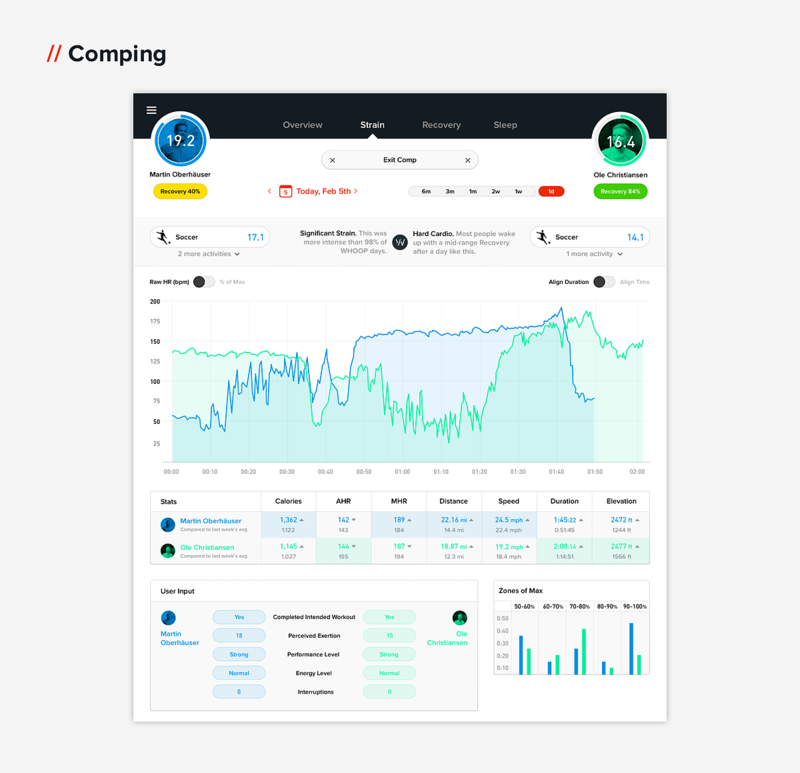 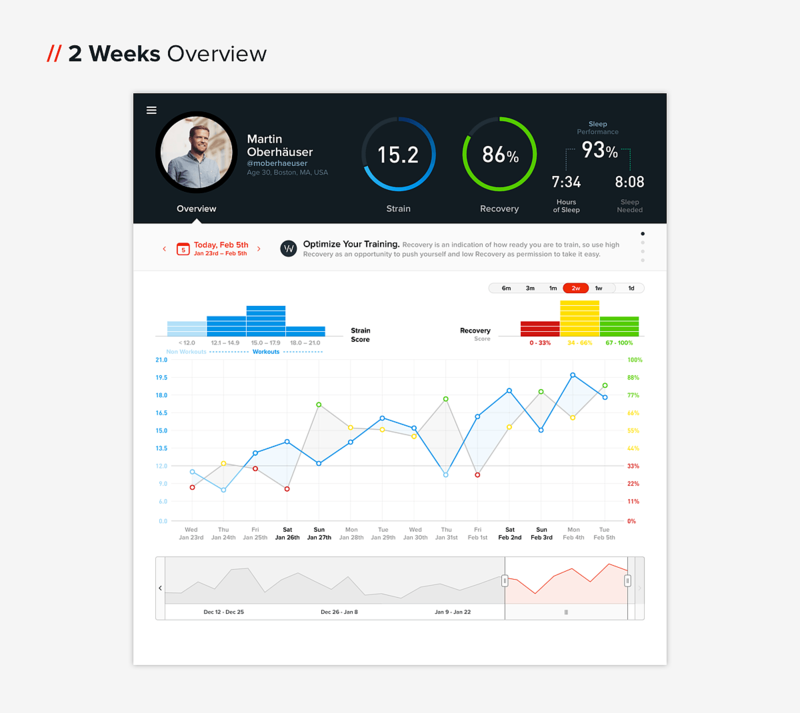 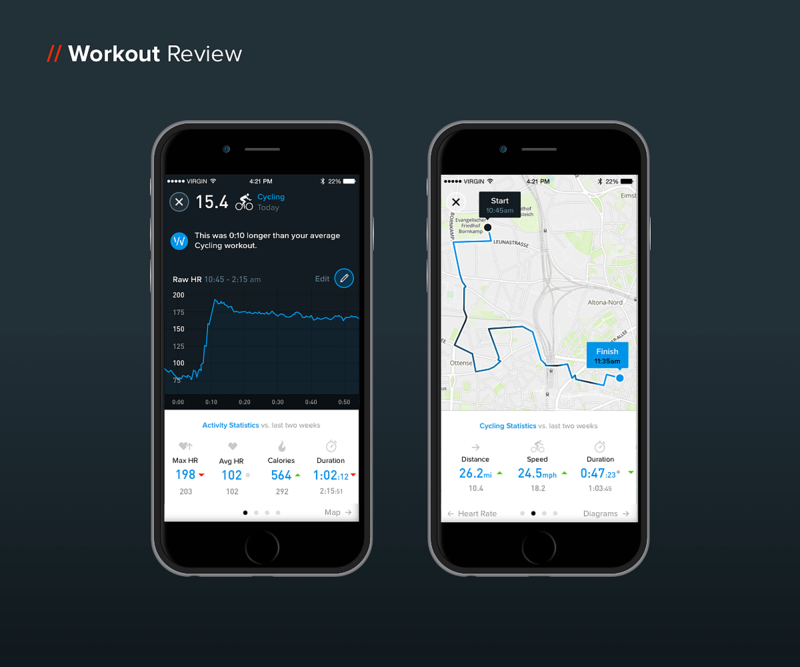 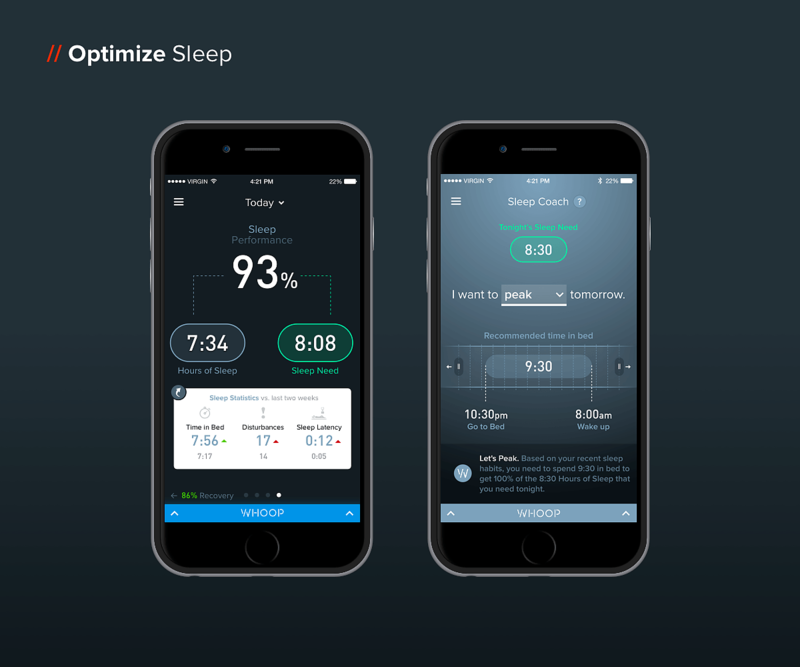 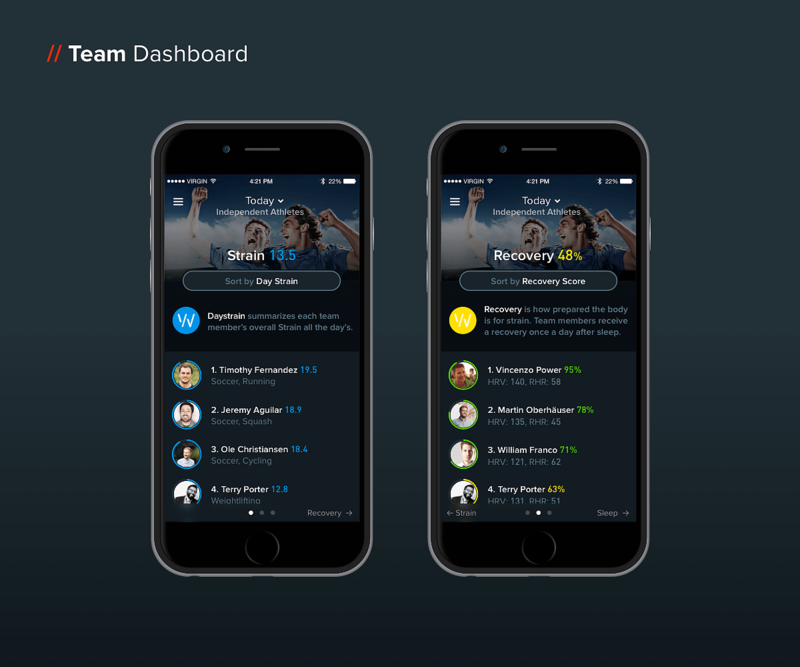 We’ve been working very closely with the Boston based startup Whoop for multiple years to build a unique performance optimization platform for elite athletes and teams. 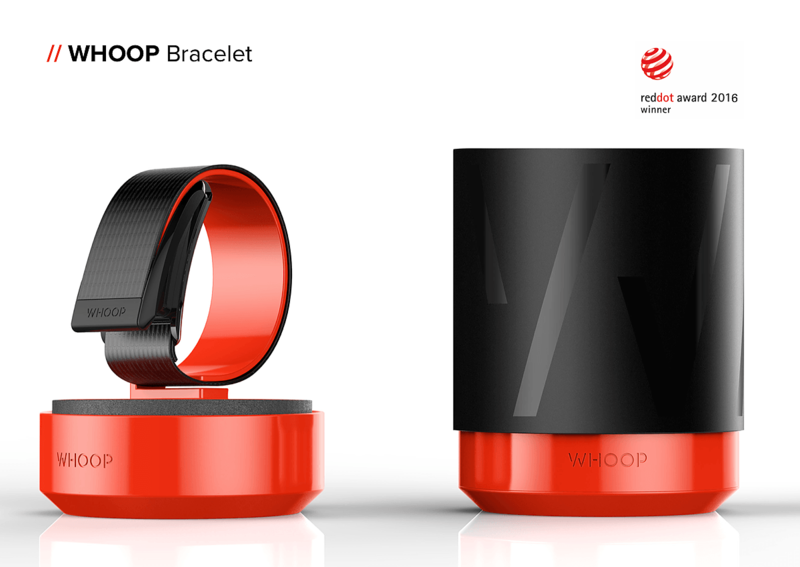 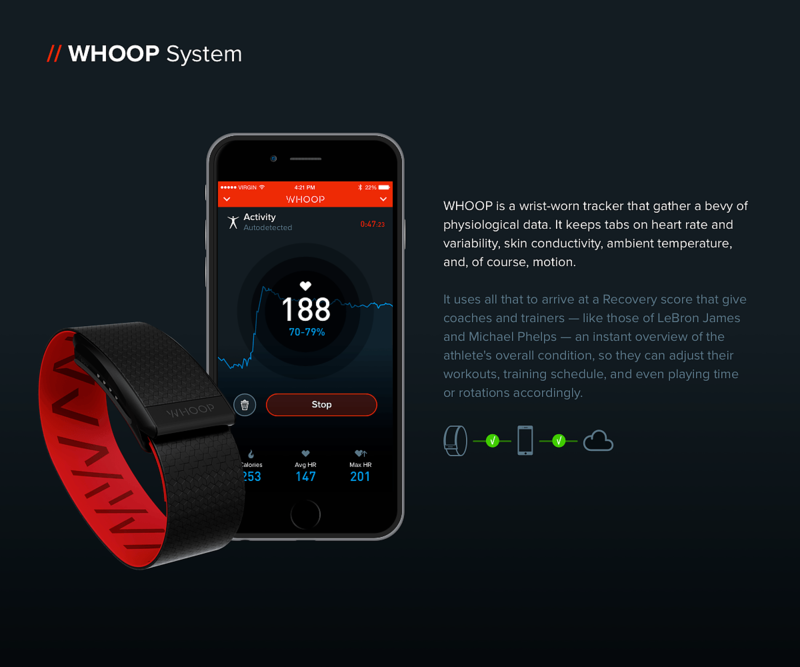 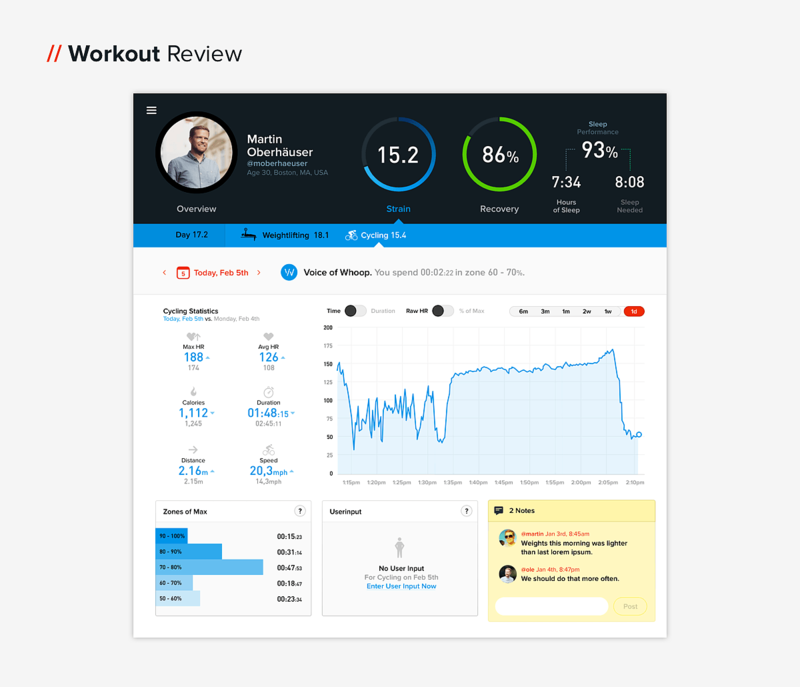 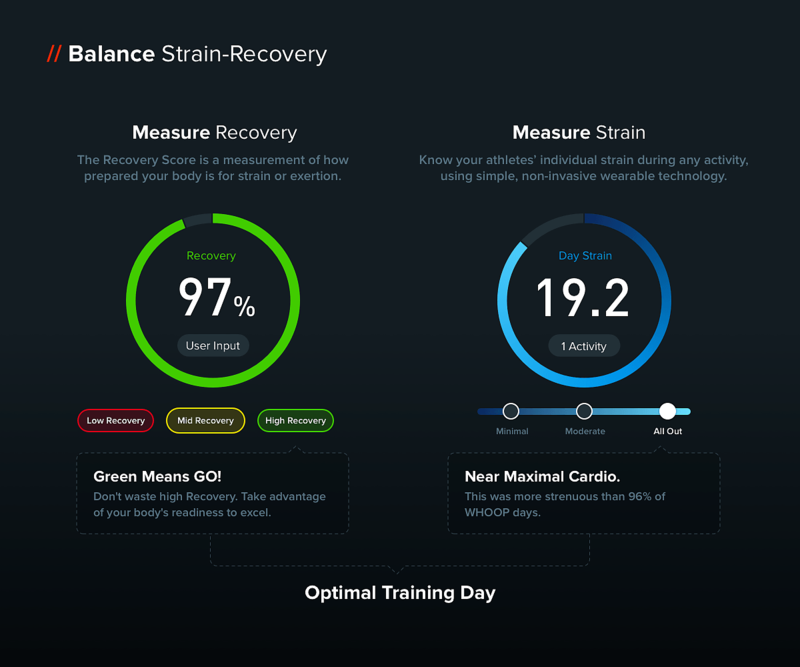 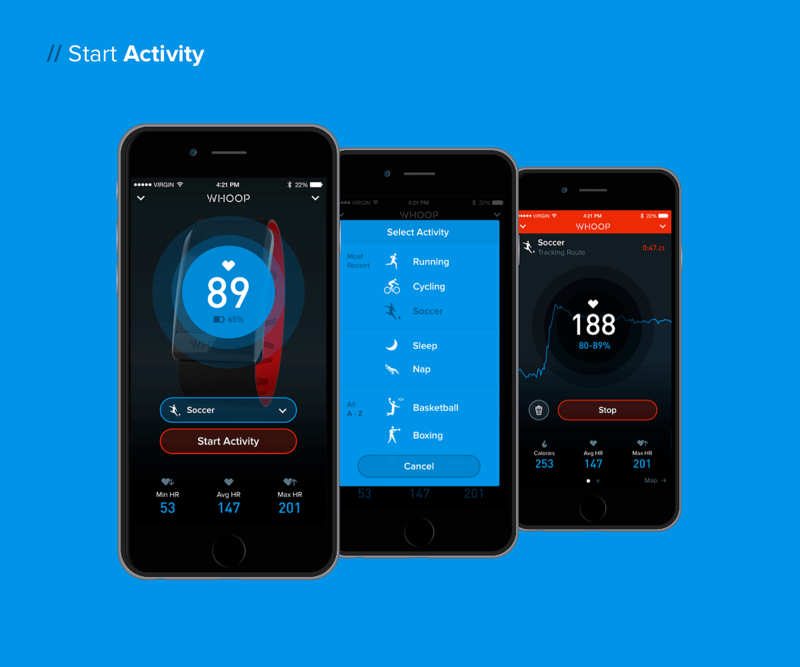 Powered by a wrist-worn tracker that gathers a bevy of physiological data Whoop provides athletes, their coaches, and trainers with a continuous understanding of strain and recovery to balance training, reduce injuries, and predict performance. 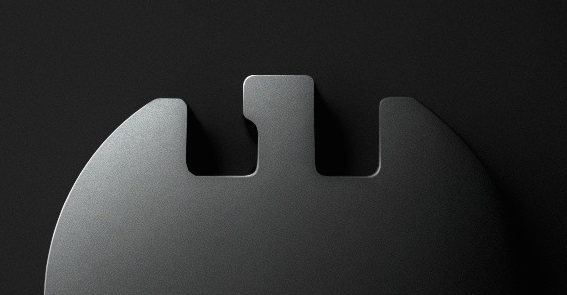 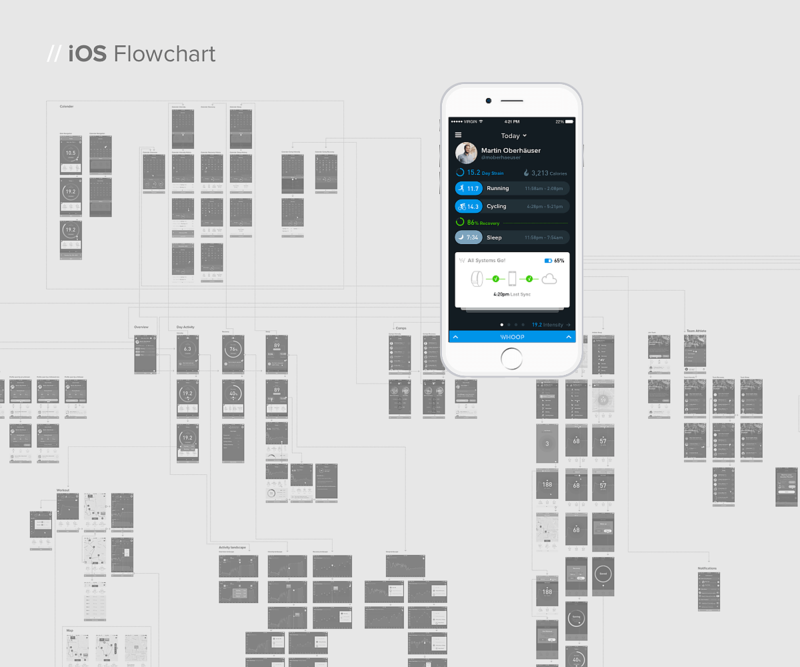 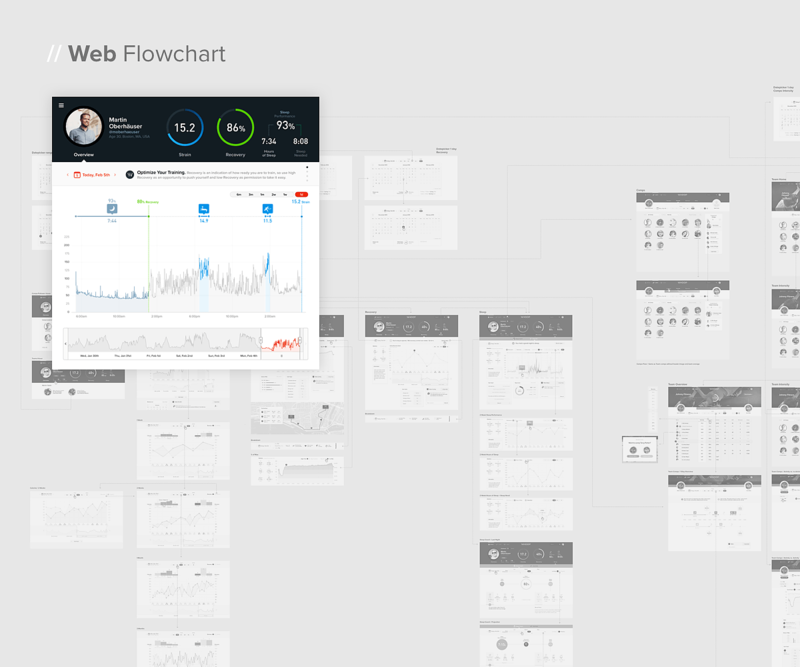 Since day one we’ve been in charge of all UX and UI design work for the mobile app, web-app and markting website and are very proud to share this case study with you.